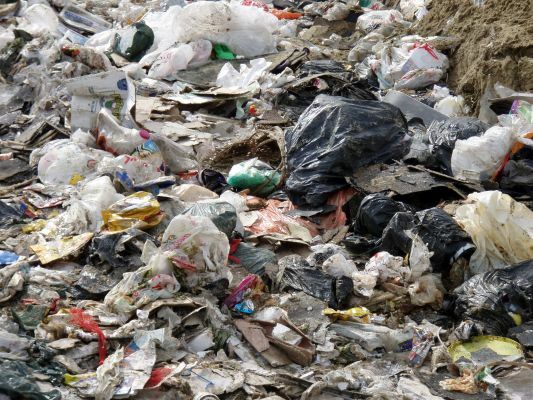 BHOPAL: With a population of over 23 lakh, Bhopal generates 23.08 tonnes of plastic waste everyday, shows a survey carried out by Central Institute of Plastic Engineering and Technology (CIPET), Bhopal. Sponsored by Central Pollution Control Board, Delhi (CPCB), the survey was conducted in 60 cities across the country, including Indore and Jabalpur of the state. This will help reduce pollution created by plastic especially in water bodies of the city, he said. “Awareness campaigns should be conducted telling public to hand over plastic waste to scrap dealers. A good quantity of the waste can be segregated and re-used, which can save lakes,” said Sahoo. Bhopal stands at 27th in generating plastic waste. Indore stands 13th with 63.40 tonnes of plastic waste followed by Jabalpur at 25 with 20.70 tonnes per day. Sahoo said, “Non-recyclable plastic wastes such as multilayer, metalized pouches pose health hazard. The finding shows that garbage mixed with plastics interferes in waste processing facilities and cause problems in landfill operations. “A good quantity of waste can be segregated and re-used,” Sahoo said. “Multi-layered pouches or sachets used for gutkha among others should not use plastic in any form,” Nema said. The CIPET report said India generates 3905.64 MT of plastic waste per day with Delhi accounting for a staggering 688.84 tonnes a day followed by Mumbai with 421.01 tonnes a day. “Plastic waste which is generated in the country is estimated to be 70% while 30% remain uncollected and littered,” the report stated. Struggling to get rid of the plastic waste disposal problems, CPCB in association with MP Pollution Control Board (MPPCB) has taken initiative to use waste in cement plant at Katni. The stack monitoring result revealed that emission values are found below the standards set for common hazardous waste incinerators. After getting encouraging results, CPCB has granted permission to many cement plants to process hazardous and non-hazardous, including plastic waste.